Mom’s (89) doctors ordered four (outpatient) diagnostic tests in the hospital. Two months later, Medicare denied payment. They’ve paid for similar procedures before--can they just change their minds without telling us? If the hospital didn’t ask for prepayment, it’s safe to assume Mom’s procedures were pre-approved and the denial is due to a coding/submission error. Unfortunately, you’re responsible for locating the problem. Federal Law mandates denial notices clearly explain why claims were denied and how to appeal via letter, email, or phone. 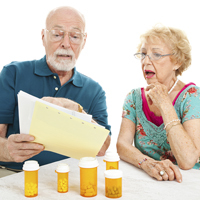 Call Medicare and ask why your claim was denied. Follow through with labs/physicians to correct the problem. If you don’t receive the cooperation you have a right to expect, contact Florida’s Department of Financial Services (DFS) Consumer Helpline at 800-342-2762 or www.fldfs.com.